Do you remember those “Where’s Waldo?” books that were oh-so-popular way back when? (Yes, I know, I’m showing my age 🙂 ) Well, the TOS Crew is offering a fun, online, blog-hopping version of that game. From now (July 27), until Friday July 8th, you have the opportunity to enter an “online” scavenger hunt to find Edna, our crew mascot!! 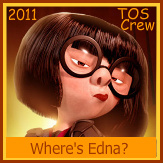 The game is simple: you will visit 28 different blogs and find the “Where’s Edna?” button SOMEWHERE on the page. A lot of times, it’s in a sidebar, but some of them are a little bit hidden, so you may have to poke around. Under the button, you will see some keywords, write those down, and when you are done, fill out the form! One TOS crew member and one non-crew member will be chosen as winner, and they will receive the Schoolhouse Planner of their choice!! (I’m thinking about the middle school one myself!). As a side benefit, you get to check out some really great blogs! I’ve found several new ones I am now following! If you’d like to play, click here for the forms and directions you need. Happy Hunting! Even though we do follow a somewhat “traditional” school schedule, taking the bulk of the summer off so my boys can play with their public-school friends, I do feel learning in the summer is important. Even when the boys were in school, I made them do some basic work each summer, just to keep their brains working!! This summer, I am mostly focusing on math, reading and writing. My youngest is just now fully mastering his multiplication/division facts, and I know if he doesn’t practice, he WILL forget, so I have him using Math Rider on weekedays this summer to keep up. I got to review Math Rider as part of the TOS Crew this year (see my reviews under math for the whole story 🙂 ) and it still is a really great program for him. The lessons are short, but effective, and, because it is a computer game, I don’t get a LOT of complaints about having to do it!! Right now he is at the advanced level on the program, and I am hoping to have him to mastery by the time we go back to school. For my oldest, I have him doing Big IQ kids math practice each day. Again, this is a program I got to review this year, and we really liked it. It is web-based and has all kinds of programs. We used the states program during the school year, but for summer, he is just doing math. So far, he’s practiced multi-digit multiplication/division etc. The lessons are short, and of course, being computer based, it’s more “fun” for him. Both of the boys are keeping reading logs this summer, with the assignment to read one chapter each day and write about it. I ask my youngest for 3 complete sentences and my oldest for 5. I have let them choose their own books for the summer, but I do correct the writing, because that is one area they both need to work on. So far, this has gone well. Of course, being boys (at least my boys), they’d much rather just play all the time. But, they know that is not an option, and really, the work only takes about 30 minutes per day. I do ask them to do their math as soon as they wake up, but they have until dinner to do their reading. I’m hoping this helps keep them on track, and eases our transition back into regular school in August! I called one of my homeschool friends and she said she feels the same way. With this being my first full year homeschooling, I admit I went a little overboard with curriculum! I just wanted to be sure I didn’t *miss* anything, and I was so excited about finally homeschooling I let my feelings run away with me. One of my goals this year is to simplify. Obviously we will still focus on all the major subjects, but I want to pare things down a bit to make more room for impromptu fun! Instead of trying to shove three electives into our day, I’m letting my boys choose one extra they really want to learn about and that’s it. I’m hoping this will remove some stress from me, as I often feel this pressure to “get everything done”….it’s like I sometimes forget the biggest reason we homeschool…to just be together. I know there are many homeschoolers who do not test their children, and that’s fine because the beauty of homeschooling is we can do what we want! However, my husband and I both agreed we would test the boys yearly, just to give us an objective measure of how they are doing. Of course, I know, that test results can be skewed, and a test is NOT solely indicative of how much a child has learned, but, I think that test results, when considered along with the progress you have seen your child make throughout the year, can give you a good “picture” of where they are at. 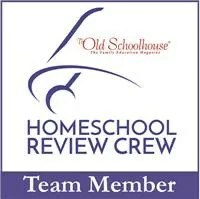 We took the SAT 10 with our local homeschool group this year. The boys had also taken the same test last year, and I mainly just wanted to compare their scores so I could see “growth” and also target areas of weakness. I am sooo very happy to say that their test results were really good, and went along with the progress they had shown throughout the year. My oldest son tested very well in all areas, his weakest being math (which was not a surprise). My youngest son grew tremendously overall, but particularly in the area of reading. I cannot tell you HOW great this feels. I have seen his reading grow so much this year, and his confidence as well, and it thrills me. This is the boy who was going to be “held back” in PS because his reading wasn’t “up to par” and now, he’s a little above where he should be!! I have to say, there have been moments this year (and I know we all have these moments!) where I have been frustrated and questioned whether or not I was doing the best job possible for my kids. You know in your heart that you are, but still, doubt creeps in and whispers in your ear when you’re trying to sleep and keeps you up all night! 🙂 Well, after this I feel so much more relieved and confident! I will say that we spent a LOT of time on reading this year, and not so much on writing, so I was not at all surprised to see my younger son score lower in this area. It was already something I knew we were going to need to focus on more for next year, and I plan to work “lightly” on it this summer as he keeps his reading journal. Another surprising fact: both of the boys scored extremely well in the areas of problem solving/logic. We did spend time doing logic puzzles this year, and my oldest did The Fallacy Detective while my youngest did Logic Countdown. I really think that helped their scores in this area. Testing also helps when family and friends ask for “updates” as to how homeschooling is going (with that doubtful tone in their voices). For some reason, people find it hard to argue with data, rather than just taking my opinion. I know it’s not a big deal, but if it gets them off my back, I’m all for it! Now, I’m off to finalize (again 🙂 ) plans for next year! Ughh! Choosing curriculum is the HARDEST part of homeschooling for me! !